The development where we chose to build our house is about 2 miles from the beach. We can ride our bikes to the state park or the Dairy Queen in 10 minutes. We love being close to the ocean, but the beach locale and ocean breezes do carry a price, as the wind and sandy soil dry out the lawn very quickly. Thank goodness we took the advice of our builder and opted to dig a well for our irrigation system. Without it, we would have either a crackling brown lawn or enormous water bills. When we thought about the budget and options for our house, we decided to spend our money on structure rather than finish. In other words, we spent money on the big things that are harder and/or more expensive to put in later (like a well, or a screened-in porch) and cut out more expensive tile and carpets. Our irrigation well cost just around $3,000 to drill, which is no chump change, but it will pay for itself in less than three years. Water bills in our area for irrigation run upwards of $600-$800 a month! So it was completely worth it. 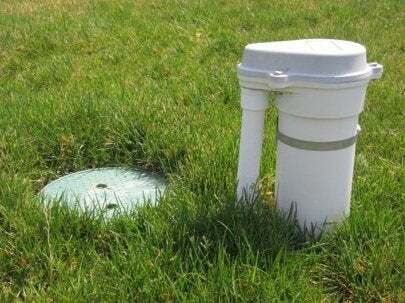 If you too want an irrigation well, here a few things to keep in mind:Be aware of your setbacks. Any well will have to be within the setbacks zoned for your lot. So if you decide on “the back left corner of the property,” it will not be in the actual corner. It will be X number of feet out from that corner, a distance stipulated by your setback. 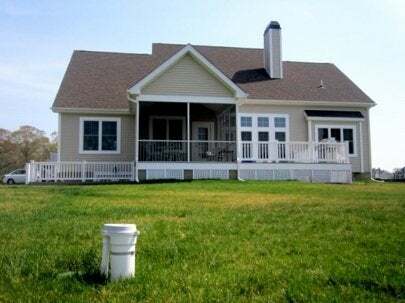 Depending on the way your lot is shaped, you could end up with your well in a very inconvenient place if you’re not careful. 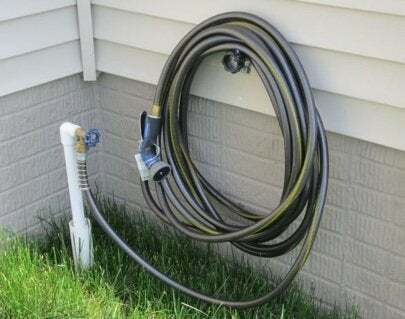 Seriously consider having hose bibs (one for each side of the house) hooked up to your well. Doing so may help you save a boatload of money on water to wash your car, water your garden, or run your Slip ‘n Slide for the kids in the dog days of August. 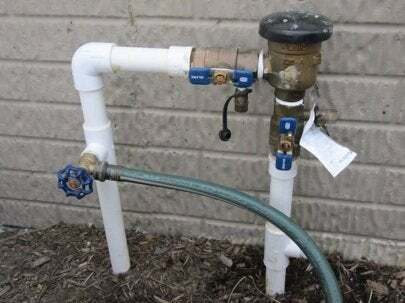 If you plan it right, the hose bibs can be put on a separate zone in your irrigation system, so you won’t have to run the lawn sprinklers while using the hose. An irrigation well stands about 18 inches out of the ground so it will be visible (it looks essentially like a large capped-off pipe). You can plant trees and landscaping to mask it, just make sure not to plant something with an invasive root system. Also, make sure the well is accessible in case it needs service in the future. Our first spring here has been incredibly dry, but thanks to that irrigation well, I never worry about how much we’re watering the lawn or washing the car. Connecting hose bibs to the well was the best idea we had. I use them constantly. And I use the hose bib that delivers city water to corral my garden hose.